Are your kids on summer break yet? We're about two weeks away from the end of the school year and I cannot wait. I'm aiming to make the summer more relaxed for all of us... more sleeping in, spontaneous bike rides, and easy days with no plans. That goes for my decorating too. I'm not one to completely flip my decor season to season. For the most part, I like my decor to be timeless with just a few seasonal accents to keep things fresh. 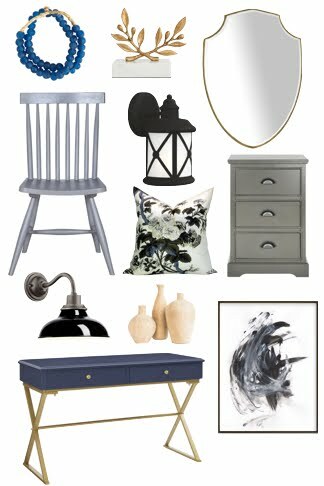 And I'm more apt to shop my home than buy new pieces every season. 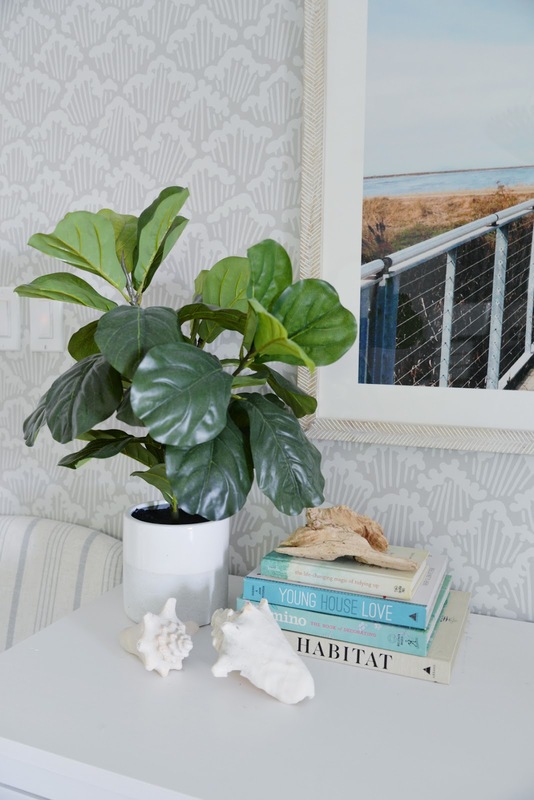 With that in mind - and because I'd rather be out enjoying our very short but beautiful Canadian summer than inside redecorating every room - here's 6 Easy Ways To Bring Summer Into Your Home. 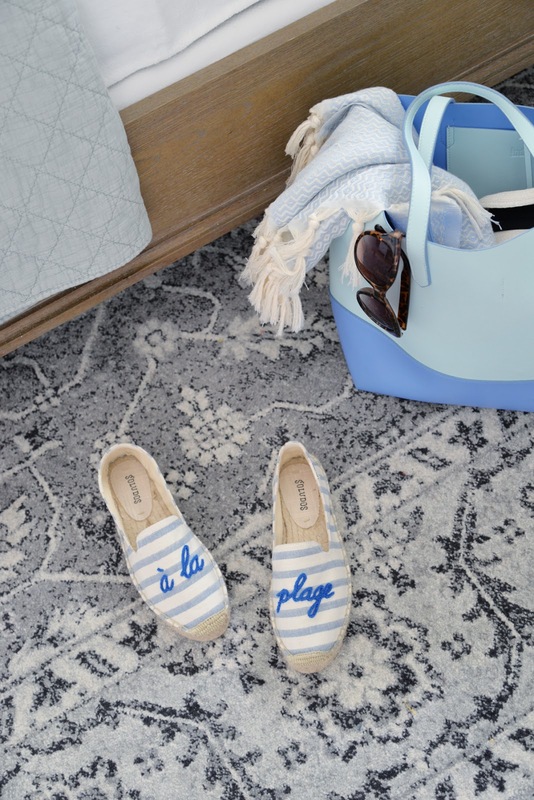 I'm sharing these summer decorating ideas today as part of the Seasonal Simplicity Summer Home Tour hosted this week by Krista at The Happy Housie. If you're coming from April's home at House by Hoff, welcome! Links for all the awesome bloggers participating are at the end of the post so read on through! One quick way to make a room feel lighter and brighter is to take away the excess. 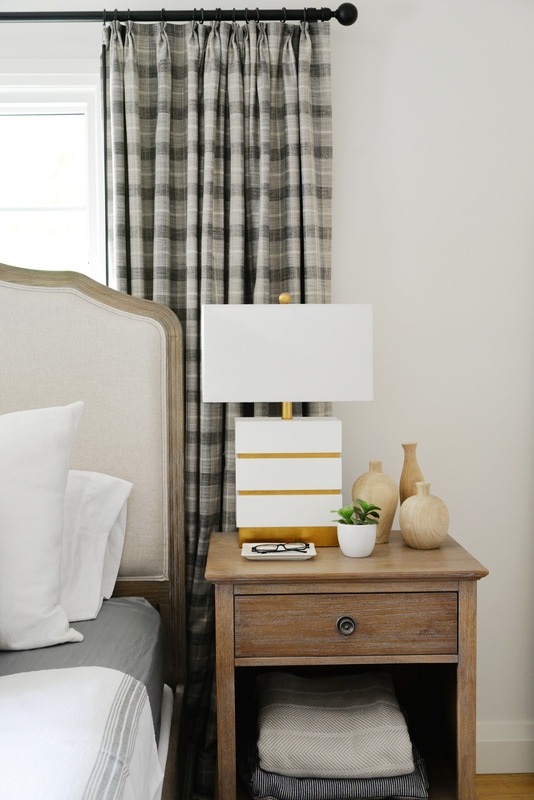 Put away the extra tchotchkes cluttering up shelves, stow away the piles of books by your bedside, and instantly lighten the decorating load. Give your room room to breathe. 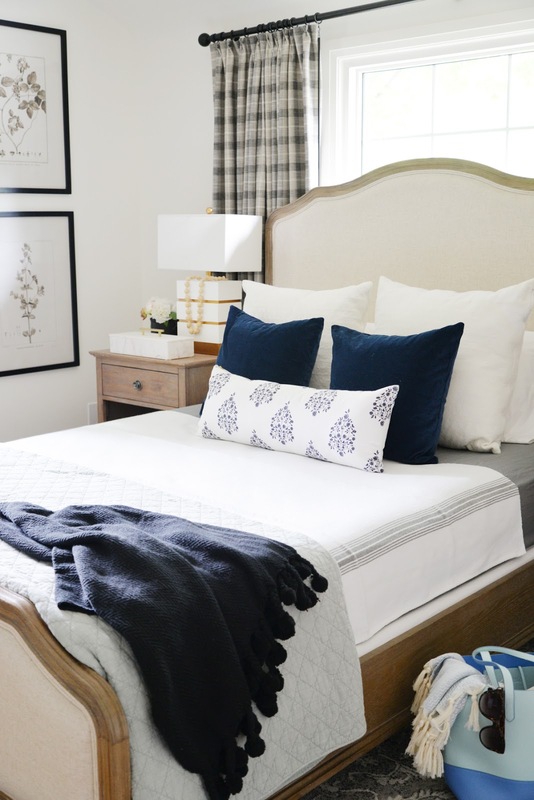 Simply changing out your bedsheets for a lighter weight and colour can make your bed feel fresh. White bedding never goes out of style and you can easily accent with your favourite colour of the moment. 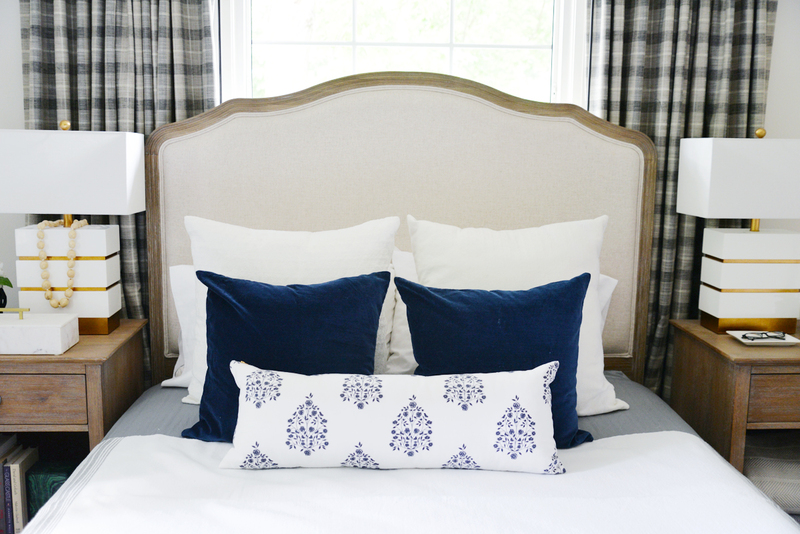 I've swapped out our green and grey bedding for crisp white and blue and a touch of nautical stripe. 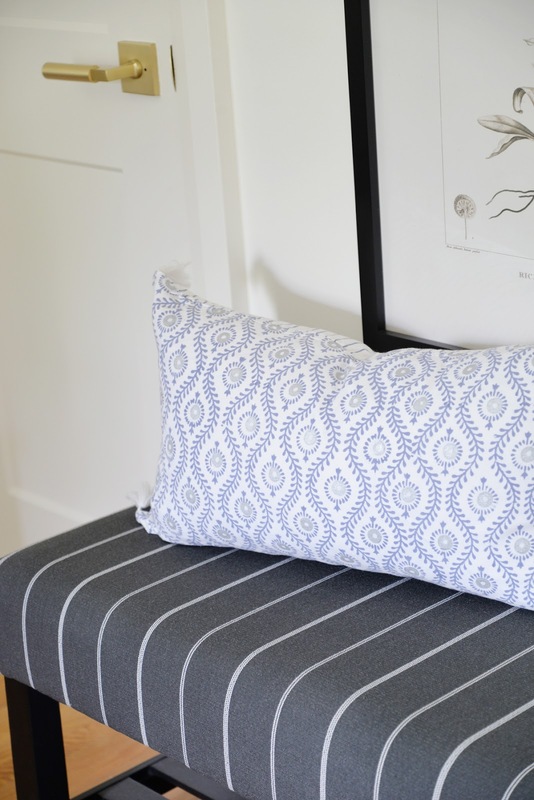 The long lumbar pillow adds just enough pattern while keep things simple. You don't need to go overboard with decorating. Sometimes a few well-placed accessories can convey that seasonal feeling you're hoping for. A summery pillow can brighten up a dark corner. Collect a few books with watery blue spines and pair with white and blue vases and accents for a breezy vignette. 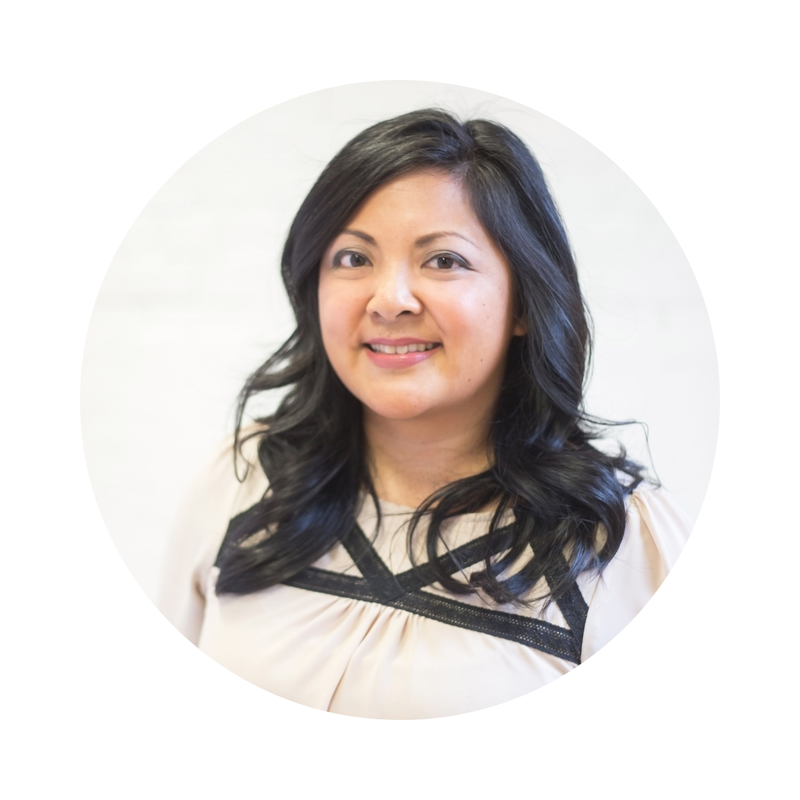 Changing out your artwork can have an instant impact as well. 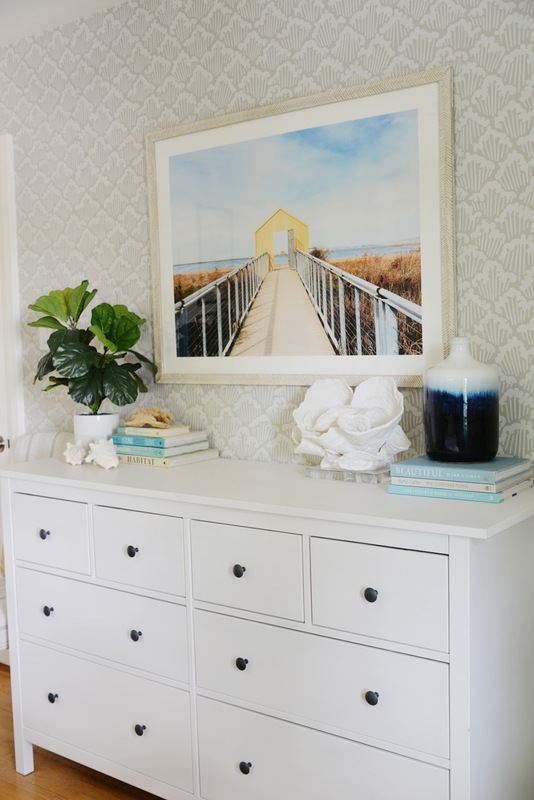 I switched out our gorgeous Gray Malin print for this Minted print that used to hang in our tropical dining room. It feels just right for summer. No budget for decor? No problem, just move what you do have to a new location. 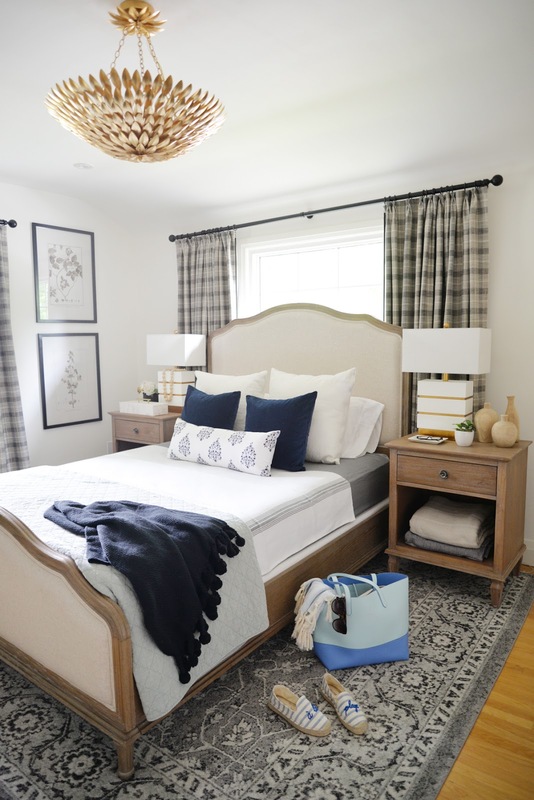 I already had the black vase and marble box in this bedroom. 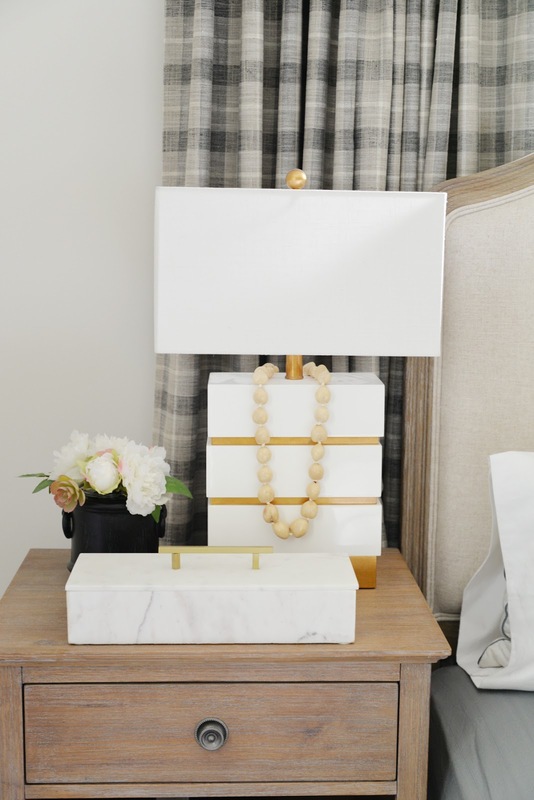 Putting them on this bedside table and adding in faux flowers and a kukui nut lei from our Hawaiian vacation gives them a refresh. One of my favourite summer accessories is my blue tote bag shown above. Even if I have nowhere to go, I'll fill that tote bag with a tasseled throw and place that bag on the floor or hang it off a door knob. It's not your typical decorating accessory but it instantly adds summertime vibes to the space. The same goes for my beachy striped shoes. When I'm not wearing them, I like to have them displayed under the storage bench. It makes me want to grab my shoes and tote and head off on vacation! Sometimes, summer is just a plant away. Plants and flowers are abundant at this time of year so there's no excuse to bring one home. Or, if you're a black thumb like me, opt for the faux variety which will bring vibrancy to your home all season long. Have you made any changes to your home decor for the summer? Or are you too busy enjoying time in the pool and puttering around in the garden? ?